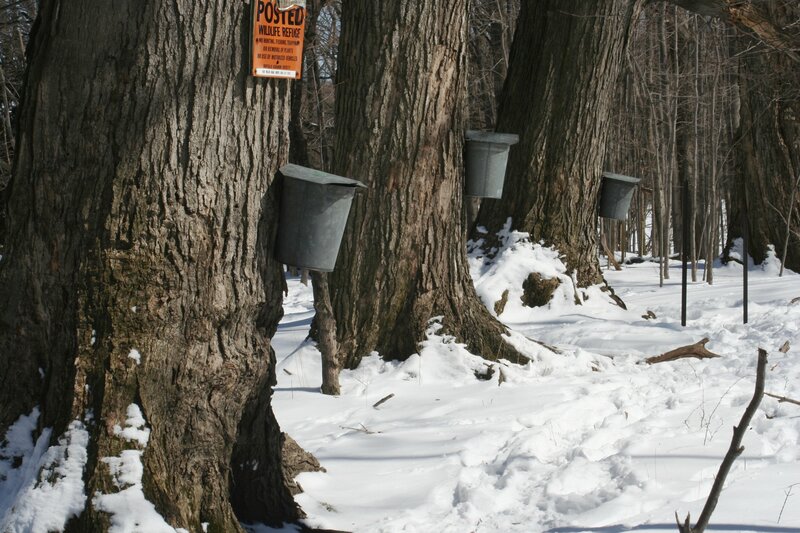 For centuries, Maple sugaring has been a sweet tradition in New Hampshire. If we see smoke rising from sugar houses in the woods, it means that spring is arriving. Warm days make sap begin to flow ready to be made into sweet maple syrup, sugar and candy. The New Hampshire Maple Experience Spring Tour shows visitors the traditional maple techniques used by Native Americans and early European settlers of the region. Enjoy the beautiful views of the White Mountains, tour a working sugar house and the interactive museum where you can see the extensive maple artifacts collection of well-known sugar maker Charlie Stewart. You can also learn how to identify different tree species and tap maple trees. Guests can enjoy a demonstration on different ways to cook maple syrup and sample syrup, donuts and pickles. The New Hampshire Maple Experience is at The Rocks Estate, 4 Christmas, Tree Lane, Benthelham, NH. For any questions or inquires, you can call Nigel Manley at 603-444-6228 or send an email to info@NHMapleExperience.com. Join the Maple Spring Tours on March 26 and April 4, 2016.